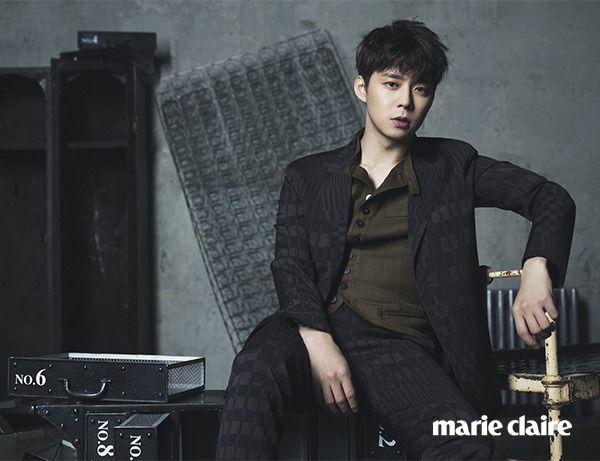 In one of JYJ member Yoochun’s last interviews before departing for the army to fulfill his 2 years of duty to Korea, Yoochun sat down with Marie Claire to talk about the suspension of his activities, what he wants to do before he goes to the army, and reflect on his life up until now. Below is the full translation and the pictures from the accompanying photo shoot. There’s only a month left now. Most of your official schedules have wrapped up. Since everything is finishing, are you relieved? I don’t particularly feel that way. You cried at a Japan fan meeting a while back. I wasn’t crying because I’m going to the military, that day marked my 10-year anniversary since starting activities in Japan so I started crying because I was so sentimental. Up until now, when I saw the events that fans prepared I was so shocked and was so endlessly thankful, but this time the fans looked particularly pretty. I guess that’s why I cried. Stacking up your good memories and your sad memories, you can make your life into one moment. What is your favorite memory? A while ago when we had just formed the company, we all went to Australia together. We made really good memories there thinking that we could do well without thinking at all, but just by working hard. Even now I’m working as hard as ever. I can’t see the members often, but nothing about our relationship has changed. For a spell after our debut we stuck to formality and thought we had to be cool and fix everything in our lives to a set pattern. Doing that I began to think that my confidence was slowly collapsing. Now I’ve found my ordinary self. Are you not afraid of having to stop your activities for a while? I’ve thought before that I want to stop working for 3-4 years. I would probably pass the time nicely in the time I suspended promotions. Have you ever daydreamed about stopping everything? Of course. Let’s stop everything and go to Ibiza (laughs)! There have been times that I’ve wanted to take off to some vague place and live normally. Making food at home, and once a bit of time passes taking my kids to school, going to sports events, that kind of life. After some time passes I’ll naturally be able to do these things. You’ve always lived life under the spotlight. If you stopped promotions for a bit, do you worry that you might be forgotten? I think it would be okay if I am forgotten. Since I debuted as a singer in my teens and did acting it seems like there will be a space just for me, whether big or small. As time passes, wishing to be remembered seems a little selfish. As time is forgotten, it’s completely natural to be forgotten. You’ve received many awards and love. Despite that, is there anything you regret? Absolutely not. There’s not even one thing that I regret. I lived happily for my age. I’ve never been greedy. Unless to you greed is wanting some storage space in my house (laughs). I’ve achieved so much more than I dreamed I would when I was young. When I was young my dream was that when my family opened up the refrigerator there would always be something to eat, that we would eat meat and side dishes, that I would buy my mom and my little brother cars. They were all calculations that came to be. You debuted in your teens, you took off in your 20s, and now you’re in your 30s. What has changed? I recover more slowly the day after I drink (laughs). I drank a lot when I was in my 20s. There was even one time that for 46 days straight I drank soju every day. I just like alcohol. However, I really don’t get drunk. A while ago when Jaejoong hyung had a break from the army we drank together, and since you have to sleep early in the army, hyung said he didn’t hear anything I said after 10pm. I like alcohol a lot, but I also like seeing how other people who are quiet become chatty as they drink. Watching and listening to those people’s ordinary conversation I feel weirdly comforted. I like the feeling of, “Ah, I’m a part of this world after all”. I’m curious as to what you’re like when you drink. I talk a lot. If there’s someone who did something wrong I point out what they did wrong, and if there are two people with a bad relationship there I try to get them to make up. Thus far, is there anything that you are sad you weren’t able to do? There’s a lot. I wanted to meet my dad one more time. That I had seen him while he was alive. I have a lot of those thoughts. I really regret that I didn’t have the courage to meet him. 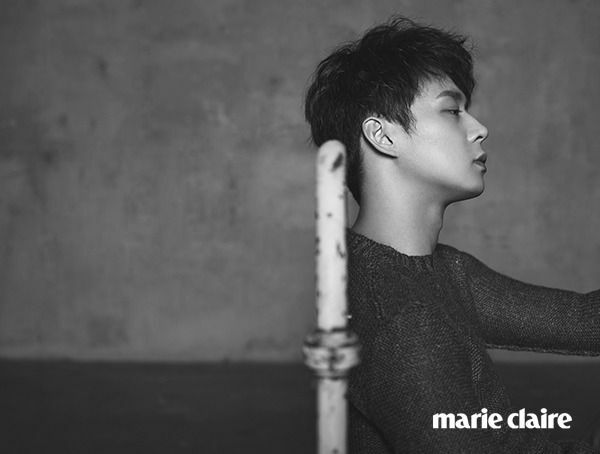 This past year has been a very dynamic one for Park Yoochun. Last year you received awards for your movie “Sea Fog”, the reaction for your drama “The Girl Who Sees Smell” was good, so what I’m saying is that you’re suspending your activities in a vortex of them. “Sea Fog” especially seems to be an unforgettable work. I don’t think I’ll be able to watch that movie a second time. My acting is so weird. A little while ago I thought maybe I should watch it again, and as soon as I turned it on I turned it back off. My character “Sea Fog” Dongsik was really not an easy character to play. It was a vague character that I had very clear thoughts about, but that couldn’t behave according to my thoughts. Living as Dongsik for 6 months, there are things that extracted everything from myself, but there are also things that I put into the character against my will. While filming “Sea Fog” I was 200% pulled out [of myself]. For that half year, even when I wasn’t filming I didn’t go back to myself. The funny thing is, there are a lot of things that I don’t remember while working on that project. Since I lived in the body of Dongsik, a lot of my memories seem to have disappeared. A while ago you also filmed “Lucid Dream”. Since it was a special appearance, it was just a small part. I was more uneasy seeing that I didn’t go to extremes. Because even though this project was small, I wanted to help and accurately portray my character. However I like these sort of supporting roles. You haven’t gotten used to playing the lead role? I don’t necessarily need to play the lead role. After [playing the lead role] a lot, I want to try experiencing an instance where it’s not like that. Meanwhile, in “The Girl Who Sees Smell” it felt like you brushed off a lot of things. I didn’t know you could do such funny acting. It was a year after “Three Days” to ended when I did “The Girl Who Sees Smell”. So in the early stages of filming “The Girl Who Sees Smell”, the camera felt so burdensome and bothersome I was about to go crazy. I guess it was because it had been a long time since I’d acted. However at one point I got used to it. “The Girl Who Sees Smell” wasn’t too overwhelming so acting was fun. It was really fun to film. I sent a text to [Shin] Sekyung yesterday, saying “I watched ‘Maritel’ well. Hasn’t it been too long since your name came up on search engines?” (laughs), I like getting on well with actors that I’ve worked with after filming ends. [Han] Jimin noona also always monitors me and [Choi] Woo-sik-ie even is doing well. It’s nice. You’re stopping activities for two years. Is there something you want to take away from that time? Popularity. To be honest even though I’m not the time to cling onto popularity, I want to let go of popularity even more. I want to live doing the acting and the music that I want to do. I’m trying to live like that now, but as time goes by my thoughts also get deeper, won’t the things that I want to do change? I want to let go of the things that you see with your eyes and come down well. As if showing everyone “This is how you come down”. Whether it’s 10 years or 20 years, I want to slowly come down and settle. As long as no accidents happen won’t I be able to go down’ well? If an accident happens I’ll probably go down in 2 hours (laughs). This is a premature question, but I’m going to ask it since you won’t be able to do an interview for a while. How do you think you’ll remember this year? The year of 8-crowns (laughs)? This year staff and fans wrung gave me strength when my strength was all wrung out, so it seems like the year I received help. It seems like I’ll remember it as a year where I felt very thankful. What are you going to do the day before you go into the army? I have to eat at home of course. #8? 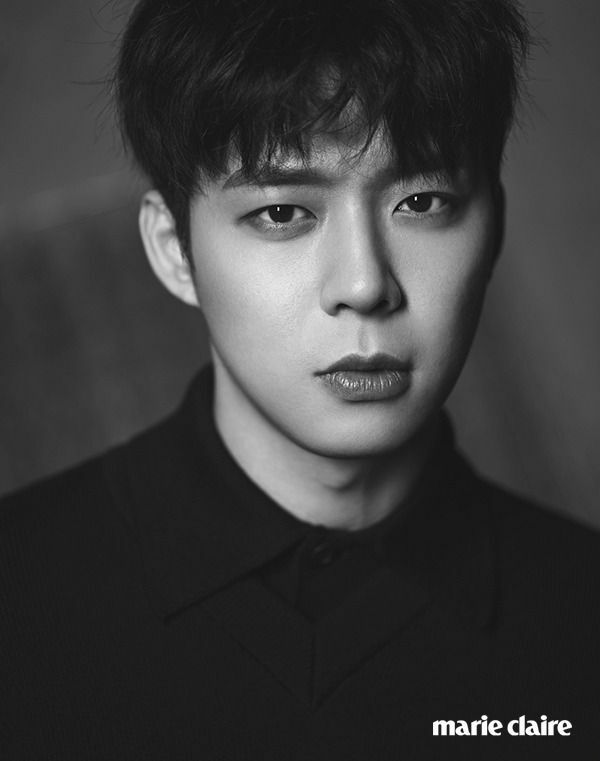 Does YC mean for the month of August, his enlistment month? 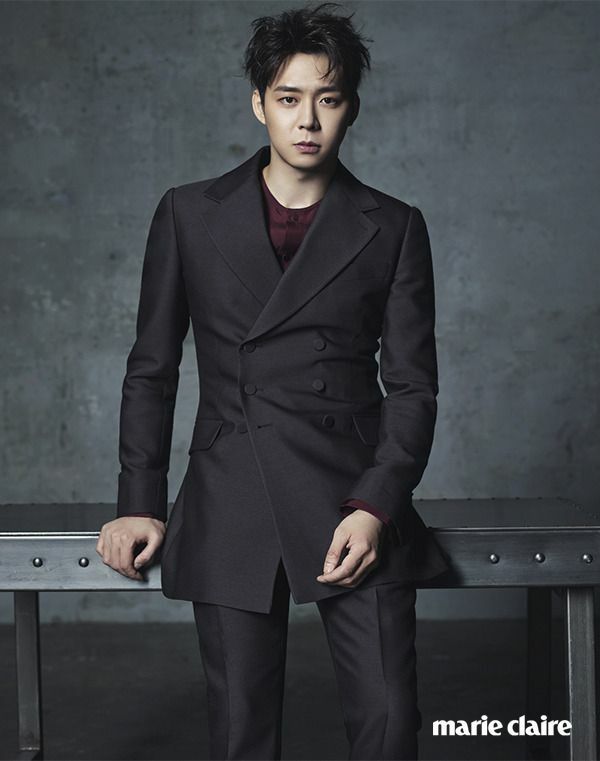 I like the way YC thinks and expresses himself, no wonder he’s a good actor. 8관왕의 해 = year of 8-time crowns ; i.e. his Best New Actor awards. Ah~ so that’s what he meant by #8, thanks rilanna. I don’t know why it’s translated like that, but what he actually said was that he’ll remember that he won 8 acting awards. If you want someone to come with you to Ibiza,Yuchun,choose me! I know it well- I’ll take you to all the cool places! “when we had just formed the company” they formed the company? not enter? Love your post. It’s a fact, he’s just different, he was born for it. If I remeber right, the company only formed to represent JYJ. There was no company before. @ xiadec and @ bubbly Well, there was no company to enter. C-Jes did not exist as a company. It was formed specifically to serve the interests of JYJ in 2009 when they filed their lawsuit and when nobody would “touch” them. So, from that point of view, they all formed the company together. The CEO (I think his name was Baek) had faith in them and invested considerably to start up the company. It’s possible JYJ also put in some money (and thus got more relaxed contractual terms) but it couldn’t have been much. However, I don’t think this has ever been confirmed (i.e. if JYJ own shares). For several years JYJ were the only artists that CJes managed. Now, when JYJ, are all gone, the only singer left will be Gummty. The rest are actors/actresses. I think this explains JYJ’s loyalty to C Jes as well as C Jes’ incompetence in certain areas. Yes to all this. This is exactly what I remember. I recall that JYJ don’t have contracts, they can leave at any time. I also agree that they seem incompetent at times. I don’t know why yoochun oppa always gives me the feeling that he will retire really early 😦 I don’t know but lately oppa is giving me this feeling …. @ Ashten At the peril of being skinned alive here, I, too, have the feeling that YC would be the first one to get married and might even have a secret g/f. After his dad passed on, he took his responsibility as head of the family, taking care of his mother and younger brother, very seriously and this weighs heavily on his schoulders. It seems to me that this has caused him to change considerably. I mean he used to be the most outrageous in his hairstyles and fashion, showing quite a bit of skin but now he is becoming quite conservative in this respect. Luckily, his talents as a singer and an actor are becoming better as time goes by and his warm, honest personality has not changed. Yes, while both JJ and JS are sharing about so many projects they want to accomplish and JJ declared he will not marry in the army and not before he is 40, I still remember YC’s interview when he was asked about dating he said “Never once have I introduced my girlfriend to my parents. While my father was ill, I have thought that ‘I should meet someone quickly and introduce her to my father’. However, meeting anyone would not be easy. After my father passed away, that thought became more serious” Somehow, a respectable head of a family, as he assumed this role after his dad’s death, and a celebrity image do not match too well. I believe he will get more involved in his work as an actor. While I do not think he will stage solo concerts (on account of his asthma condition) I most sincerely hope that he will continue composing and will produce a solo album or at least a single, may be a duet with JJ. Both JJ and JS are so busy with their solo careers that perhaps there will be time only for an annual JYJ album when YC will join because he himself said JYJ is there for ever. Of course, all this is my own thinkimg, but conditions change and people change, too. Nobody can predict what exactly the future holds. 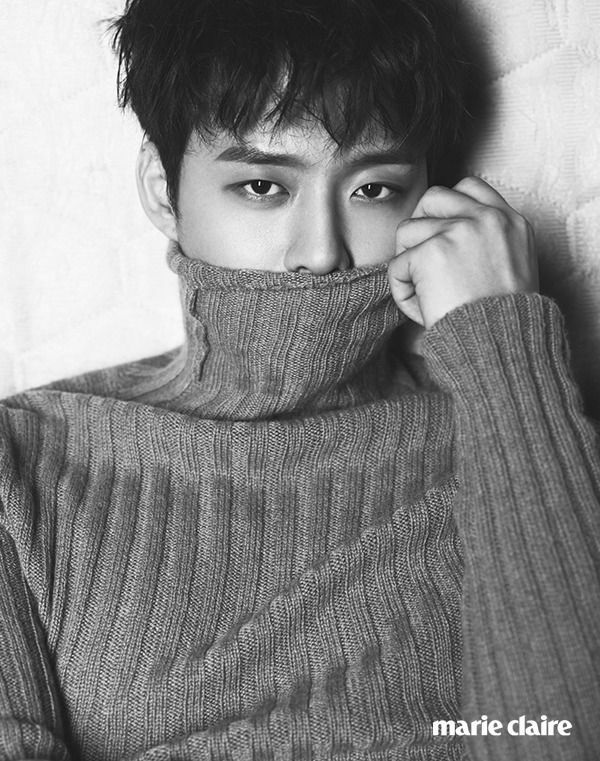 Don’t worry much it’s true yoochun personality changed alot after his father passed away he frightens me alot too by his statements I think it’s just that he is so realistic, but lately he also said he want to continue doing JYJ activities and sings the longest possible and it was really a relief for me. I know she has a nephew but not a son. Jimin as in Han Ji-min,Rooftop Prince? Didn’t know she have a son..
She doesn’t have a son. I believe the the person who translated it is not familiar with the other actors in ‘Rooftop Prince’. He/She thought 우식이 = son . But I’m sure YC meant Choi Woo-sik, aka Yellow Ranger in RTP. Ohh.Gee,thanks.i was a bit confused back there. Very insightful answers. And gorgeous pictures. Thanks for the trans. I always enjoy reading his interviews; I can read and read and never get bored, lol~ his answers are always insightful and clever..
Q: Have you ever daydreamed about stopping everything? YC: Of course. Let’s stop everything and go to Ibiza (laughs)! ………………but then bb~ andwae! I'll cry if this comes true, just no, N~OPE. You may think but don't do for real okay? Ne??? for his career life as a actor.i really appreciate him.i also wish to see him again as a actor after his army services. 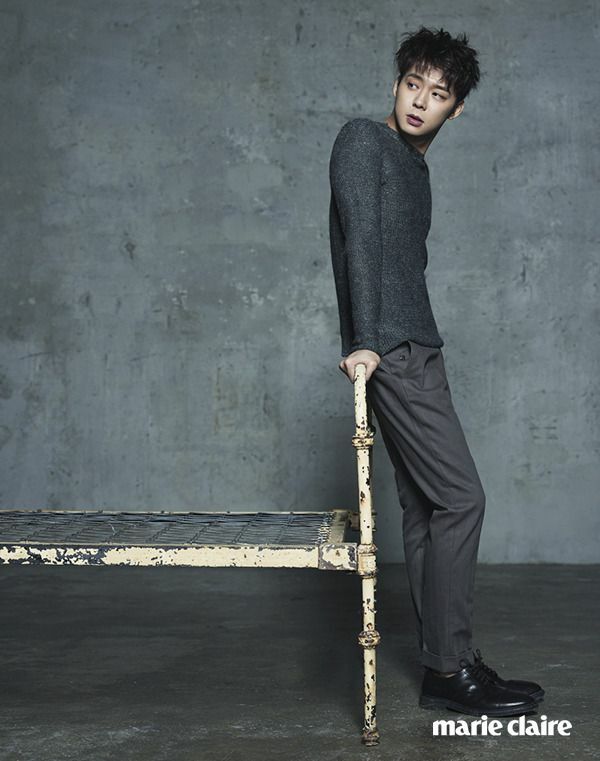 micky yuchun oppa..fighting!!!! I really will miss YC, this interview is so open and heartfelt. these are the MOST gorgeous photos EVER! they really make me miss him “u” i love every word of his interview too. thank you tons for this translation and the photos. a fitting tribute for him and for us. OMYCHUN`come back fast. 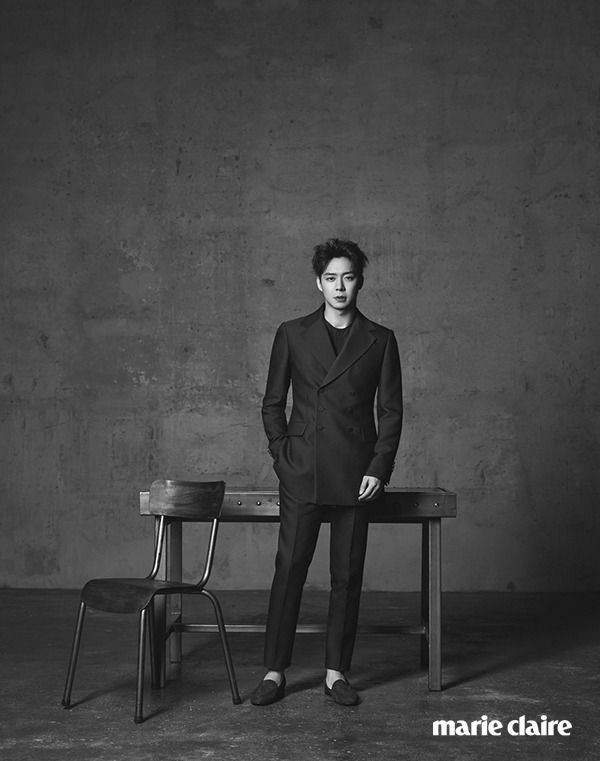 You deserve happiness & respect PYC . Live healthy & happy,we will always love and waiting for you.